80kJ, 19kcal per crackerbread. The crisp light snack. Deliciously crisp and light. High in fibre. Source of iron. Low in saturated fat. Suitable for vegetarians. 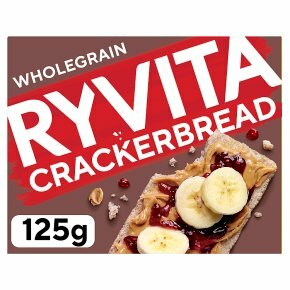 Ryvita® Crackerbread is the melt in the mouth snack that's ideal for all the family. Munch them straight from the pack or add your favourite spreads and toppings. The choice is yours!